Woman hit wheelchair-bound woman in the face with computer charger in Vero Beach. 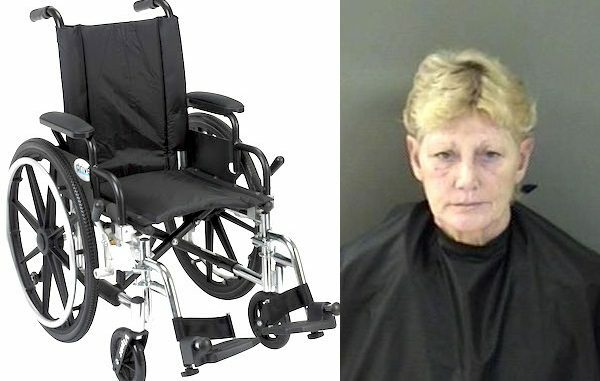 VERO BEACH – A Vero Beach woman was arrested after hurting a wheelchair-bound woman and smashing her laptop and cell phone multiple times on the ground. The Indian River County Sheriff’s Office received a call from a Vero Beach residence about a disturbance. Upon arrival, deputies made contact with the victim, Brenda Baggett. Brenda advised that her caregiver, 57-year-old Deborah Yates, was intoxicated the previous night and physically hurt her. The victim is permanently bound to a wheelchair and has no way of defending herself. The victim said Deborah went into her room demanding Brenda to leave the residence. Brenda explained that Deborah is constantly intoxicated and was drunk during the incident. Deborah then took Brenda’s Dell laptop and her phone and smashed it several times before hiding the items. The victim then said Deborah grabbed her computer charger and struck her against the side of the face with it. Brenda was unable to get away from the violence since she’s bound to a wheelchair. Deputies observed a bruise on the right side of Brenda’s cheek where she was struck with the charger. As soon as Deborah fell asleep, Brenda was able to escape by wheeling herself a block down the road to a friend’s house where she called the police. Deputies made contact with Deborah who denied all allegations of hitting the victim. She also denied damaging the laptop and cell phone. She told deputies that the fresh bruise was probably from a fall. Deborah Yates was arrested and transported to the Indian River County Jail where she was charged with felony abuse of elderly, and criminal mischief.